We've been living in our new home for 5 months now. While part of me feels like we've always lived here, the other part is itching to finally make this house a home. I'm still not making any major purchases just yet, but there is one thing that I can't seem to get my mind off of. And that my loves, is barstools. Dont laugh at me, but the idea was first planted into my head while watching an episode of Keeping up with the Kardashians. 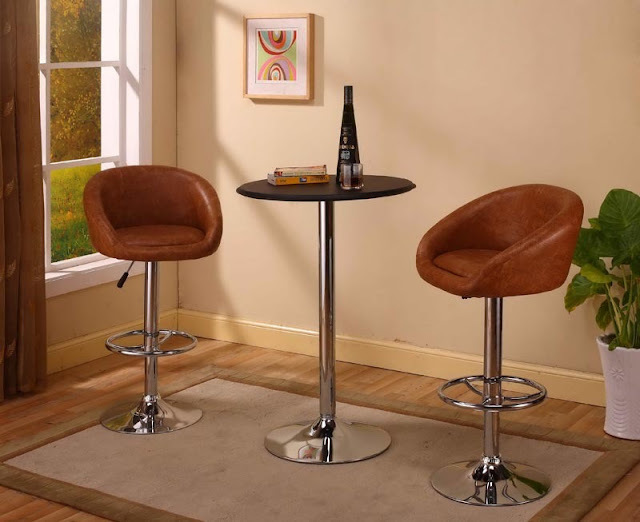 Kourtney K has these amazing barstools in her kitchen, but sadly, I can't find a picture of them. Basically, they have gold metal legs and are gorgeous. While Kourtney's were seats only, I think it'd be comfortable to sit in if it did have a back. I like bits and pieces of these. The overall shape and design is cute..except for the colors, fabric, and bottom base piece. I also found something similar ( and new) from ebay. 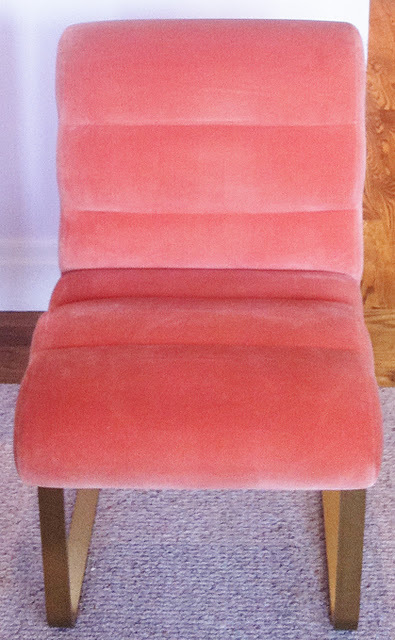 Again, the colors, and base are not my style..but I think I can reupholster and spray it gold. 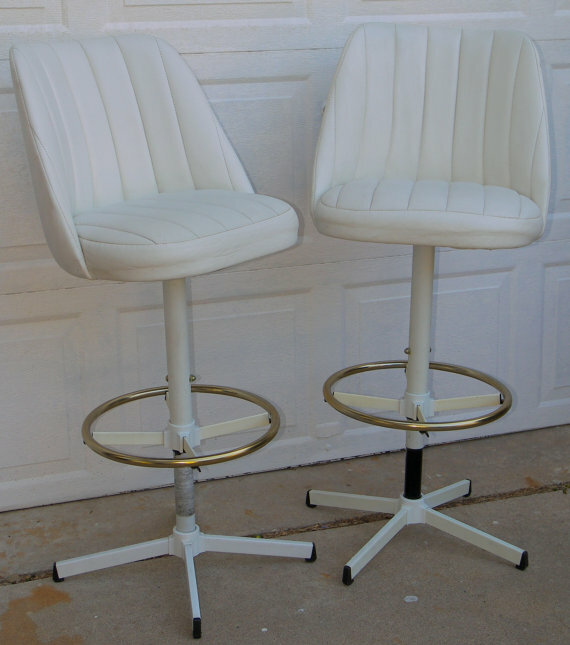 These are also kinda-sorta cute, with a fun retro vibe..but the same reupholster/paint rule goes here as well. Since it'd be in the kitchen area, I'm thinking maybe a black leather for the fabric. I'd love to do velvet..but sometimes even I know that reality does not always work well with velvet. 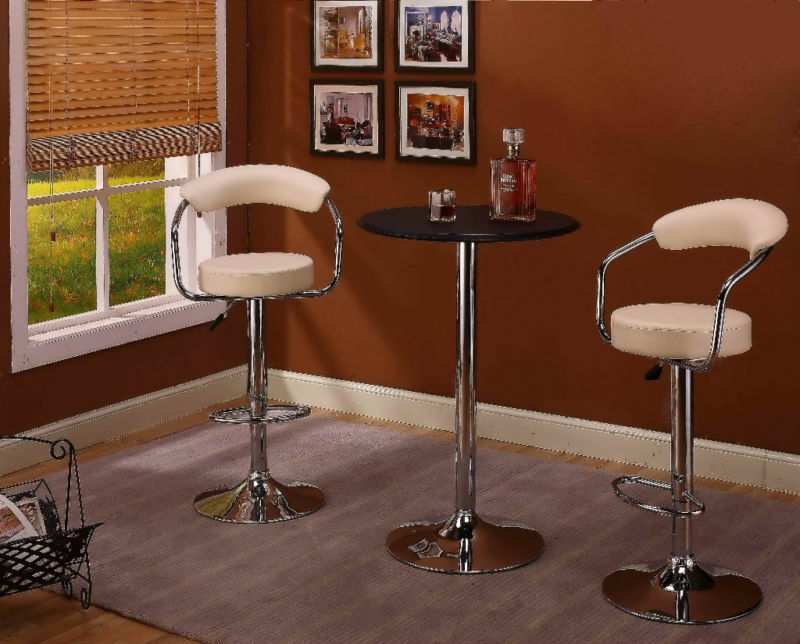 just found these gor-geously perfect barstools via Pinterest. This is exactly what I want...minus the price tag.